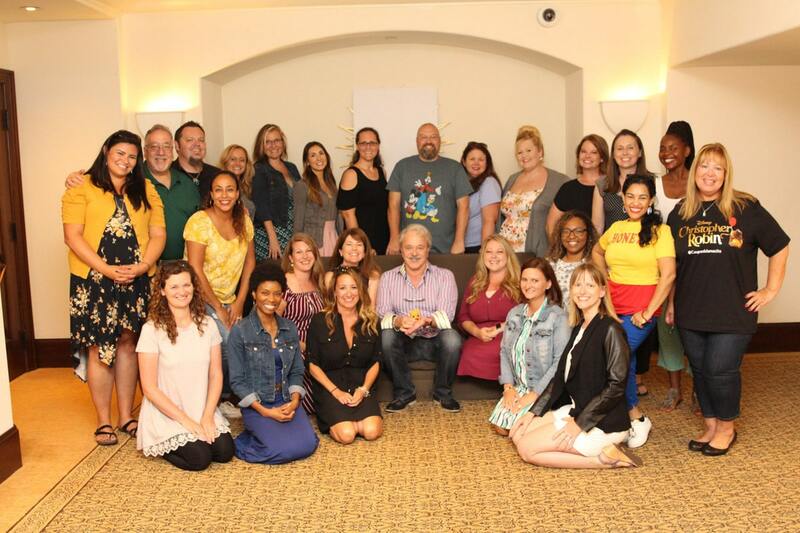 Find out what Winnie the Pooh voice actor Jim Cummings had to say about the various characters he voices, bringing Winnie the Pooh back to life again, and his favorite Winnie the Pooh logic! 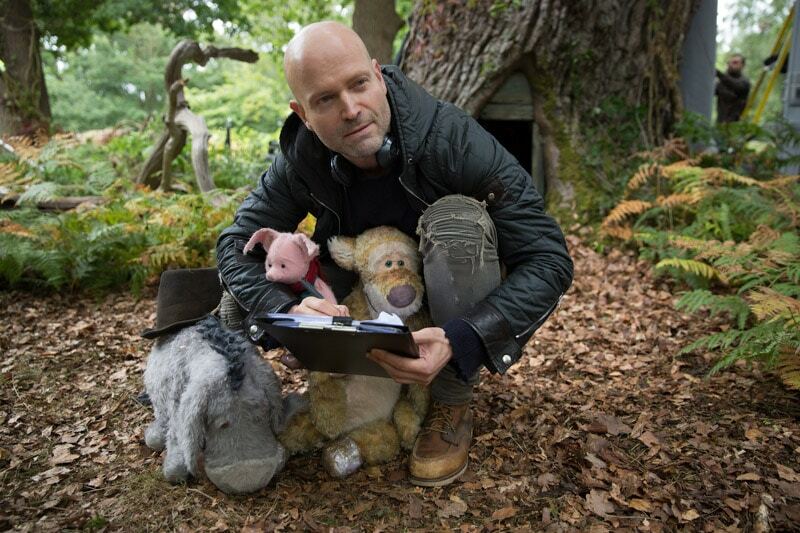 Imagine sitting on the couch with the Director of Christopher Robin Marc Forster when all the sudden you hear Winnie the Pooh say something. It’s like my insides just relaxed and went awww where is that silly old bear. There’s just something about that voice that brings you back to simpler times and makes you comfortable. Then I realized it was none other than Jim Cummings, the voice actor of Winnie the Pooh and Tigger. Or as Jim himself put it, the character actor, because it’s not just about a voice – it’s about embodying the character themselves and what that character would do. Out of all of the interviews we did for the Christopher Robin press junket, interviewing Jim Cummings was easily the most fun as you would probably expect. I mean any time you get to interview Winnie the Pooh, Tigger, Darkwing Duck, and well tons of other characters all at the same time, you know it’s going to be fun! So here we go, our exclusive interview with Jim Cummings! First question we asked Jim was about how difficult it is to switch voices between Winnie the Pooh and Tigger. This was probably the #1 question on everyone’s minds, and Jim even mentioned that he gets asked this all the time. I wish I could share the audio of this interview with you all. The words just don’t do it justice as Jim was flipping between Pooh and Tigger’s voices as he answered this question (and many of the others). After talking about switching between voices, one of the bloggers in the room asked how he comes up with each of the characters. I kind of forget sometimes that Jim wasn’t the original Winnie the Pooh, that he’s just talented enough to match what the original Winnie the Pooh’s sounded like! He explained that with character voices that were already around like Pooh and Tigger, you have to just nail and stick to what that original character would sound like no matter what they’re doing be it sneezing, hiccuping, or really anything. You’re playing the character so you have to match the character. For new characters like Darkwing Duck, he compared the process of creating a new character to audio sculpting – like a sculpture you can hear. You work with the animators, with the writers, who sometimes know what they’re talking about. So it’s a sculpting process, it’s kind of like audio sculpting; it’s like a sculpture you can hear. Darkwing for example wasn’t the biggest guy in the world, but he wasn’t tiny; he wasn’t a mouse. They wanted him to be fairly bodacious and boisterous but not over the top, like you know he wasn’t Goofy. We didn’t have to give him a lisp or anything weird, so you know, you just go, ‘oh yeah, well, mm, okay, yeah that’s good.’ And that’s kind of it, yeah. We also asked him if Pooh and Tigger ever just come out (because I could see that happening if it was me! ), and he surprisingly said no, they’re totally different, like the difference between Auld Lang Syne and Silent Night. They’re just different. Of course we had plenty of questions for Jim about Winnie the Pooh, bringing him back to life after so many years, and so on! 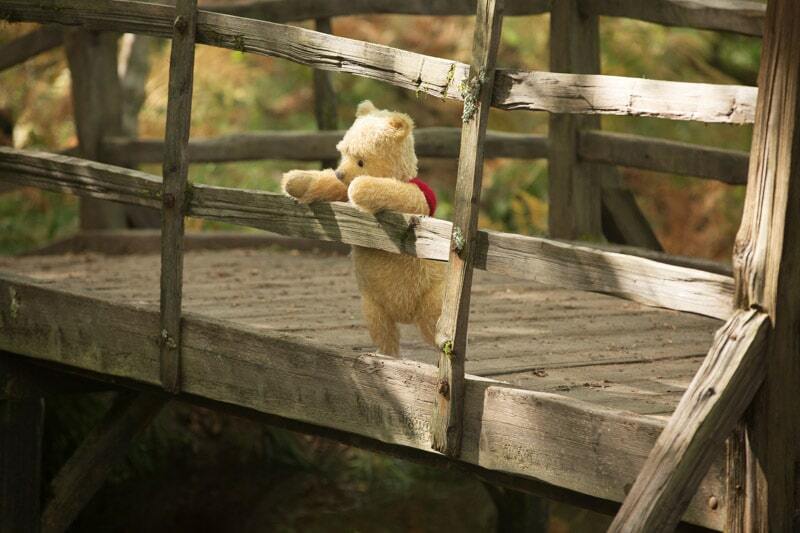 I mean Winnie the Pooh, along with Christopher Robin (aka Ewan McGregor) are the stars of Christopher Robin! First up, we asked him what it felt like to bring Winnie the Pooh to life again. In not so many words Jim explained that Winnie the Pooh has been with him for a long time, so it’s not really bringing him back to life. But he did mention that he absolutely loves Marc’s reimagining of the characters. 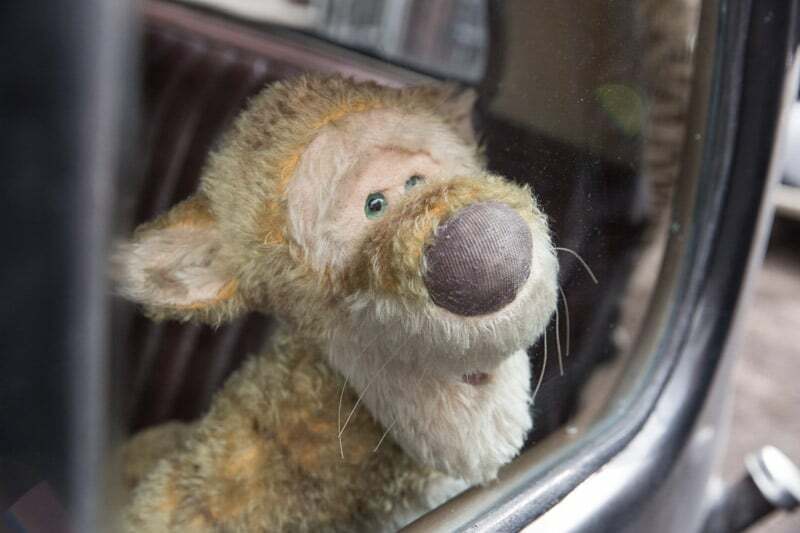 And I agree, I mentioned in my Christopher Robin review but I think the new characters are beautifully done. 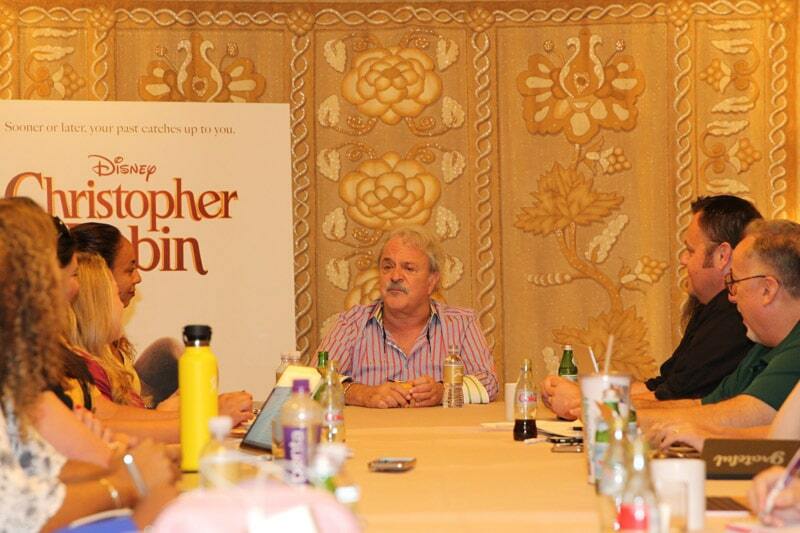 Then he expounded a bit about being a part of this new film and the Hundred Acre Wood Universe. You know, it just feels great you know, to be associated with such a beautiful, a beautiful franchise. It’s not a franchise to me. What am I trying to say? It’s a universe, sort of. The Hundred Acre Wood, everybody knows about it and everyone knows all these characters, and they have a sweet spot in everybody’s hearts, and it’s an honor. You know, it’s an honor, it’s a privilege to bring them forward to new generations. I’ve jokingly said, ‘A Winnie the Pooh generation is every three and a half years because a brand new set of Pooh fans.’ It’s joyous. With so many amazing Winnie the Pooh quotes, I had to ask Jim if one was his favorite. I mean these are his quotes after all, well sort of! His answer made me laugh, especially as I’m thinking about putting some of my favorite Poohisms on matching Disney World t-shirts soon! There are so many. I always say that there’s such a thing as Pooh logic. 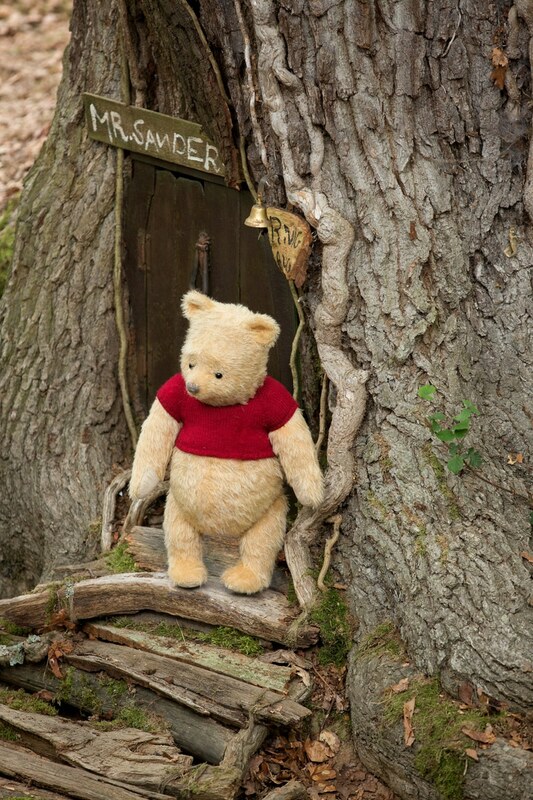 You say well, ‘what do you Pooh –.’ Well, I think that I think. It’s just Pooh logic. It’s the various things. You know, you’re stronger than you seem, you’re braver than you think, smarter than you think, stronger than you feel, and braver than you seem. You know and people end up knitting those things into quilts or making plates, and ‘would you sign that?” I’d love to. You know, so and there’s plenty of them. I usually get to where I’m going by walking away from where I’ve been. And it’s just so plain, and it’s so right down there to earth. It, there’s a lot of maybe not Forrest Gump, but a little. …You know, people say nothing is impossible, but I do nothing every day. So yeah, it’s that sweet little logic. 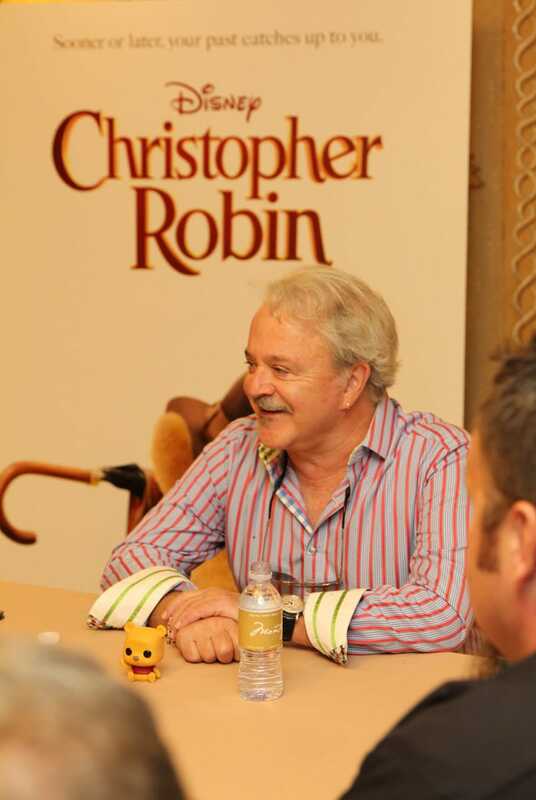 We also asked Jim about his favorite Winnie the Pooh character as a child and similar to when we interviewed Ewan McGregor, he couldn’t pick one but instead picked two – Tigger and Eeyore – and told us about how he used to use the various Hundred Acre Wood characters’ voices when he was playing games like Monopoly. Does Jim Get Recognized as Winnie the Pooh? We also asked if he gets recognized as the Winnie the Pooh man a lot after he told us a story about almost meeting Sterling Holloway, the original voice of Winnie the Pooh. Many many moons ago before I was in the business, my wife and I were in Laguna Beach, and I guess he had retired and moved there. We were sitting there in a restaurant in this diner, in a motel, didn’t think anybody was there. And the waitress walks over, ‘have we decided,’ and you hear this little voice, ‘I believe I will have the chowder.’ (he says this in his Winnie the Pooh voice). So I got up and I was cool, and I get some salt on the table over in the corner, and I look over there. And he’s sitting there looking like an albino crow, and cute as he could be, and I wanted to run up to him, but what do you say? ‘You’re the Winnie the Pooh man!” You know, I’d feel like an idiot. I really wish I did, now I’m the Winnie the Pooh man. So, I feel like an idiot sometimes. 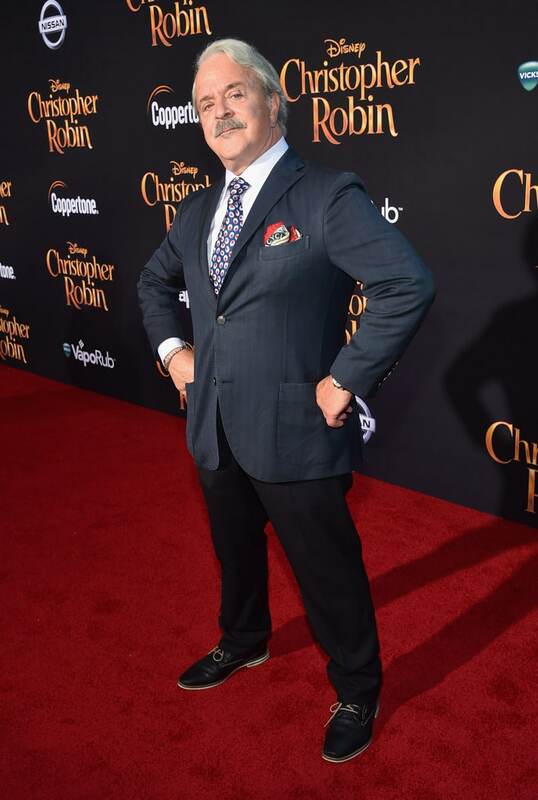 Pretty sure I did this exact thing at the Christopher Robin red carpet – I saw Jim standing over by an elevator and wanted to go say hi but wasn’t sure what to say – you’re the Winnie the Pooh guy!?! But unlike Sterling, he told us that he doesn’t often get recognized as the Winnie the Pooh man because it’s not his actual voice whereas Winnie the Pooh’s voice was Sterling’s actual voice, not a voice character. When asked about how much influence he has on the lines Pooh says, Jim explained that he ad libs a lot both with Pooh and his other voice characters. 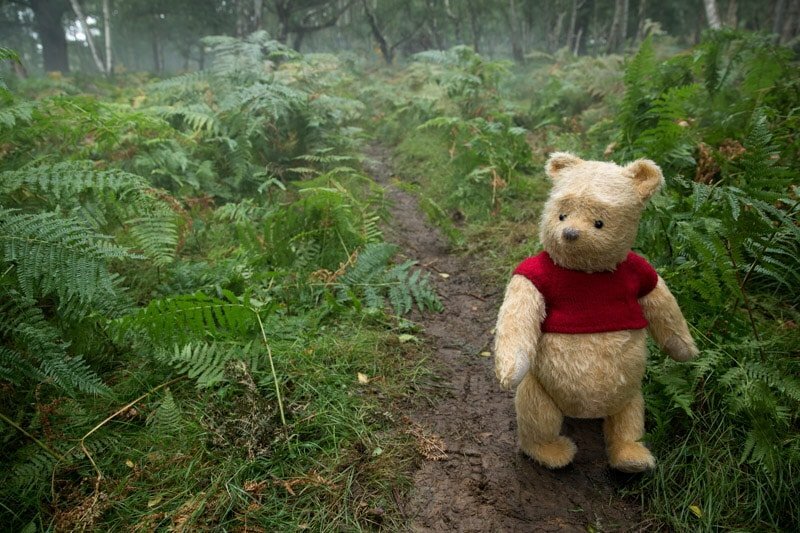 Makes me wonder how much of Winnie the Pooh’s script in Christopher Robin was original and how much was Jim just improvising! I know that’s why they get me sometimes you know, like with Tigger and Pooh. And, no so much as with them as many of the other characters I’ve done – Hondo from Star Wars and Darkwing is another. And Ray, Princess and the Frog, he was one of my favorites, and I think for Princess and the Frog I think that’s probably the only movie I don’t think I said one thing they wrote. I sang the song right though, you know, I did that part okay, I couldn’t change those lyrics. Because then Randy Newman says, ‘oh no, no, no, you’re not getting a lyric credit on this.’ But other than that, I guess I have input, and I always do it as written cause you know you have to. You have to, okay fine, but and then I do it the right way, no just kidding. But, if they like it, they like it, you know, the thing is it has to contribute to the story. It can’t be we’re having a scene, this is what’s happening, and say, ‘oh, here’s a funny joke, okay stop, okay laugh now, where were we?’ Oh yeah, we gotta get back to the scene. So, as long as it contributes. When we asked Jim if many of his ad libs made it into the movie, he couldn’t tell us because he hadn’t seen the movie yet. Wish we’d had the chance to interview him again after seeing the final movie to find out! Someone asked Jim if he did a lot impressions and imitations when he was a kid. His answer made me laugh because he quickly admitted that he did and that was extremely annoying to everyone around him. Guess it paid off! 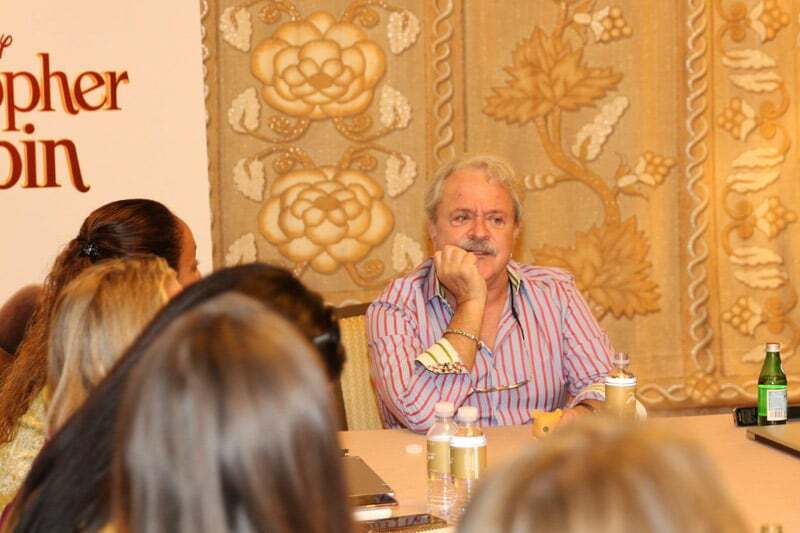 We also asked him if he has any advice for other kids who may be interested in doing voice characters in the future. He said just do impressions, keep making sounds, keep trying different things out. Always be in place and trying things. And he had some specific advice about creating new characters. If you want to, if you do a perfect impression of somebody everybody knows, that’s cool, you never know. And if you do an impression of somebody super famous that everyone knows and don’t sound anything like him, that’s a new character. And if you do a perfect impression of somebody nobody knows, your mailman or someone, that’s a new character. And you mix and match you know, and like I was always, like I say as a kid, I’d be ten or eleven years old, and I would, I didn’t want to be the Little Prince, I wanted to be the ogre or monster living in the cave, or the weasel or something. You know what I mean? And I was accidentally, probably doing research for the characters now cause people say, ‘well, you do voices,’ and that’s true. But, we’re just character actors really that you don’t see. 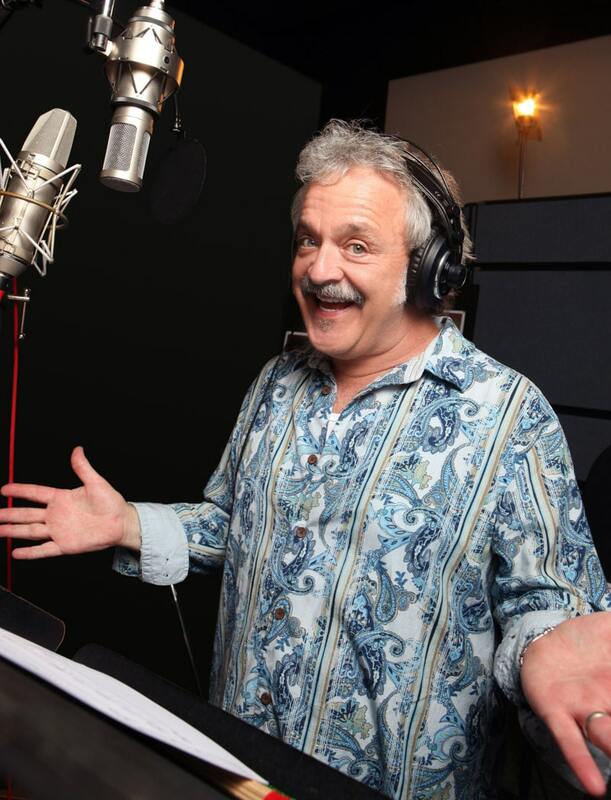 You know, it is a voice, and I get the idea of saying voice actor, but really it’s a character, and that’s how they sound when they talk. So, I think there’s a mindset there that can be used. And last but not least, my favorite moment of the interview was at the very end as he was leaving, Jim picked up the Winnie the Pooh toy sitting on the table and went to walk away with it. But it was actually one of the blogger’s for his kid, and the blogger kindly asked for it back. Jim was amazing and handed it back but not before getting a marker and signing it for the child, who I’m sure is going to be absolutely ecstatic! Just seems like the kind of guy Jim is! 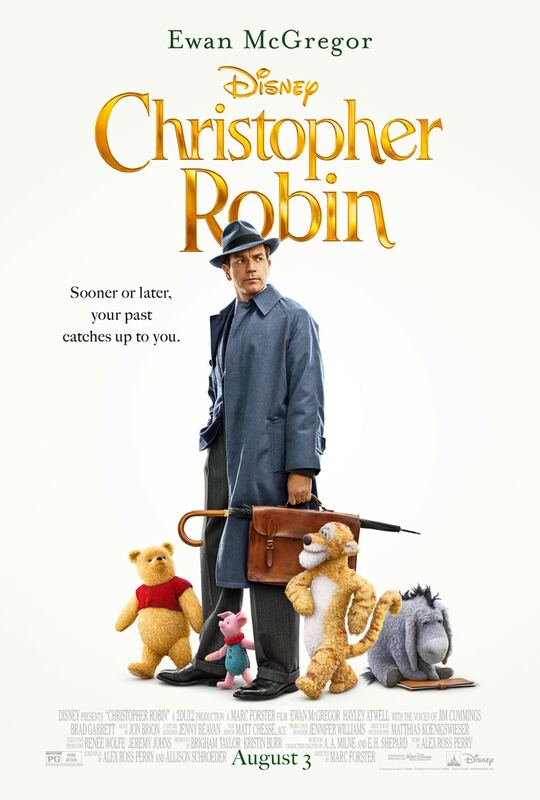 Christopher Robin opens Friday, August 3rd in theaters everywhere!